Watchdog timer : What is Hardware and Software Watchdog ? The Customize Windows > Computer and Internet > General > Watchdog timer : What is Hardware and Software Watchdog ? Watchdog timer or simply Watchdog is generalized for a component of a system used to monitor the operation of other components for possible malfunction. 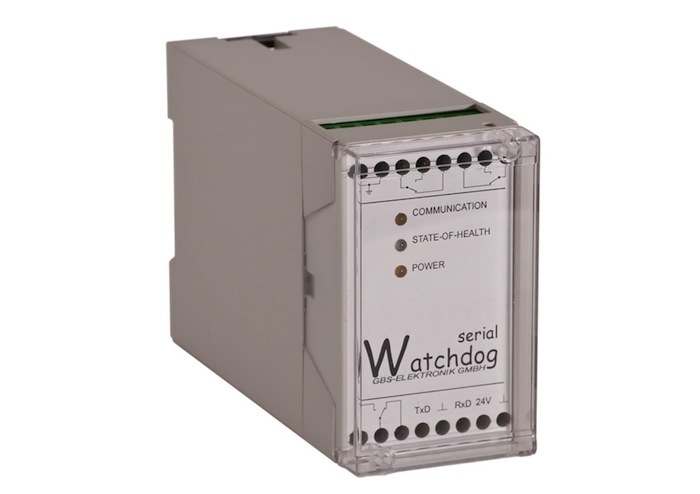 When a possible malfunction is detected, then either of these Watchdog timer system gives a signal or a suitable jump instruction initiated, adjusted for the problem at that time. The signal or jump instructions are used directly or indirectly as a trigger for other cooperating system components that should solve the problem. Specifically these watchdog times are in the microcontroller -controlled electrical devices, used to a prevent a complete failure of the device through software failure braking mechanism. Watchdog timers prevent the loss of an automatic microcomputer system by the software, in regular intervals the watchdog tells that the system is still working properly. What Microcomputer Actually is ? Alternatively, the same can be realized by a counter which is periodically set by the software on a certain value. This counter is the hardware side constantly decremented, when it reaches 0, it has the software to indicate that the system to monitor is probably got “stuck” or failed. The watchdog will then set the device by reset ( reset back) into the defined output state so that the system can be controlled by the software to work properly and monitored again. The Intelligent Platform Management System as specified by IPMI standard is an interface between a computer and watchdog so that one does not need additional hardware for standard server motherboards. Generally the unit during a restart (after reset) is not capable of real-time response and thus can not process data or to respond to requests. Watchdogs are used in different functional types. The hardware watchdog is in the microcontroller integrated on the board or of developed micro -module or an external microelectronic component with communication with the microcontroller. In case of Time-out watchdog, the microcontroller must elapse a predetermined time before the Watchdog Reports. If an error occurs, a reset of the microcontroller and possibly some peripheral components is triggered. If the watchdog is integrated in the microcontroller, and in addition there is a so-called trap (= interrupt) which can be triggered. It is then the task of the trap associated software module to perform an adapted response and bring the system to a safe state and then a partial or complete restart is performed. If a microcontroller does not have a special watchdog circuit and the software can be used. When window watchdog is used, the microcontroller within a predetermined time (mostly external) must report. The reaction in the absence of the response message corresponds to the time-out of watchdog. When intelligent watchdog is used, the microcontroller has to answer a question put by external watchdog module correctly, the procedure is therefore also a challenge-response concept. If an error occurs, a reset of the microcontroller is not only produced, but the watchdog usually brings the whole system back – regardless of the apparently uncontrolled microcontroller is running – in a safe condition. Example can be the 3-layer approach with intelligent watchdog the Electronic accelerator in the car. With a clever choice of the computational issues caused by the operations, the CPU internal modules (can ALU , program memory, RAM and registers) can be monitored. The software watchdog is a test software environment in the microcontroller. The watchdog software module that controls all the major program modules are executed correctly in a given time frame or if a module requires an unacceptably long time for editing. This must not necessarily caused by a faulty execution, but can also be a deadlock. The software watchdog can in turn be monitored by a hardware watchdog. This Article Has Been Shared 707 Times! Articles Related to Watchdog timer : What is Hardware and Software Watchdog ? Title: Watchdog timer : What is Hardware and Software Watchdog ? Cite this article as: Abhishek Ghosh, "Watchdog timer : What is Hardware and Software Watchdog ?," in The Customize Windows, April 24, 2013, April 26, 2019, https://thecustomizewindows.com/2013/04/watchdog-timer-what-is-hardware-and-software-watchdog/.